Cassandra Bankson is an American Model and YouTuber. Much like Elaine Mokk, Cassandra has suffered from the skin condition cystic acne. During her childhood, Cassandra endured cruel bullying for the appearance of her acne, it was then how Cassandra practised with makeup and learnt how to conceal her pimples. Because of Cassandra’s talented makeup skills, she was able to conceal her skin so well that her Acne was hard to detect. In Cassandra’s portfolio shots, her skin appeared “flawless” which lead to Cassandra becoming a model. Since posting her video Cassandra’s helpful tutorial and story has been shared all around the world by various websites and news stations helping many other with the same condition. 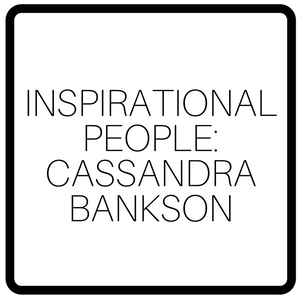 Today Cassandra is still sharing videos on her YouTube channel however, her channel has grown massively with over 800k people subscribed and over 122 million views on her videos. 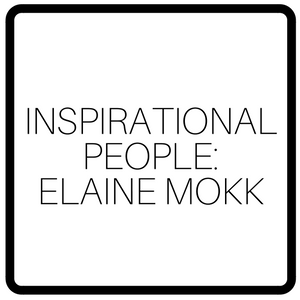 Elaine Mokk is a YouTuber from Canada. In the past, Elaine suffered from severe cystic acne. Cystic acne is a condition which causes very painful, large, red pimples. Usually, when you get a pimple it is caused when a pore in the skin becomes blocked. This is usually caused by dead skin cells. When bacteria gets trapped this is often when the swelling and redness occurs. With Cystic acne, the infection goes deep into the skin which causes a tender red pus filled bump to appear. Cystic acne can be a very painful and itchy condition. There is also a chance of more breakouts occurring if a cyst bursts as this spreads the infection. Cystic acne not only affects the skin, it can also affect confidence due to its appearance. When Elaine first started her YouTube channel she focused around her skincare and makeup routine. She bravely shared videos of herself using clever makeup tricks and techniques to hide her spots and scars in a bid to help others who were also dealing with the painful skin condition. Her channel has received over 64 million views and many have found her advice inspiring and very helpful. Today Elaine’s Acne has improved dramatically due to undergoing treatment for her skin. Elaine continues to share makeup reviews and skincare tips on her channel but also features some of her other interests. 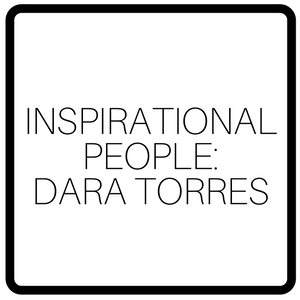 Dara Torres is a USA Olympic medalist who is the only woman to have represented America five times. Shortly after the 1993 Games, Dara was diagnosed with the condition Psoriasis. Psoriasis is a condition that causes red flaky patches to develop on the skin. Psoriasis is a chronic condition which means that it is long term but the condition often involves periods where symptoms calm down followed by periods where symptoms flare up. The condition is caused when there is an increased in the production of the skin cells. The results in a build up of cells which create patches. The full cause of the condition isn’t fully understood but problems with the immune system are said to be linked. Although Dara has spent a lot of her time in a swimming costume she spent years feeling ashamed to bear her skin. She told the Daily Mail: “You just feel embarrassed, I dreaded putting on my bathing suit – and I work in a bathing suit! The worst was going to the beach and feeling like people were scared to touch me. Lots of people thought it was contagious, even though it isn’t. But I just had to get on with it and work with my dermatologist to keep it under control. It is possible, but so many people still don’t know that.” Despite the condition Psoriasis being around for centuries, it is still a poorly understood condition. Dara however, hopes to change this by starting a campaign to explain the condition. Patience Hodgson is the lead singer of Australian indie rock band, The Grates. Patience was born with a Port Wine Stain birthmark that covers half of her upper body. Port Wine Stain birthmarks develop when there is abnormal development of the blood vessels within the skin. This occurs when there is a genetic change when the baby develops in the womb. Port Wine Stains are not caused by done or not done by the mother during pregnancy. Despite having a birthmark Patience does not let her Port Wine Stain hold her back. Recently Patience teamed up with Natalie McComas, a photographer and artist to take part in a project called “In This Skin” where an image of Patience went on display in Sydney, Australia. The aim of the project is to open up the conversation about birthmarks. April Star is an 11-year-old from Florida. April was diagnosed with the condition Vitiligo when she was just 6 years old. Vitiligo is a condition which causes white patches to develop on the skin. These patches develop due to a lack of the chemical in the skin called Melanin. Melanin is the pigment that gives the skin its colour. There is no clear evidence as to what causes a lack of Melanin in the skin, however, some research suggests that the condition has been linked to the autoimmune system. Harley Dabbs is a young lady from North Carolina, USA. When Harley was two years old she was left with 85 percent burns across her body after being in a house fire. Harley was given a two percent chance of survival but defied medics despite having such extreme injuries. Harley also credits her boyfriend Joshua for his support which helped her to have a new positive outlook on life. She said “He makes me feel beautiful on the days I don’t think I am. And when I can’t be strong, he stays strong for the both of us. He’s definitely held me up especially on my darkest days. Now I’m a warrior, I’m tough. I am who I am because I fought to be this person. I went through hell just to come out on top and I will every time. I hope my story will help others who battle with their scars or birth.” Harley one day hopes to become a nurse and motivational speaker to help others. Giorgia Lanuzza is a young lady who has the condition Psoriasis. Psoriasis is a condition that causes red and flaky patches on the skin. The patches often appear silver in colour and patches normally appear on the elbows, knees, lower back and scalp, however, Psoriasis can appear anywhere on the body. In many cases, patches are itchy and sore. Giorgia was diagnosed with Psoriasis when she was 13 years old and the condition affects 97 percent of her body. Giorgia’s Psoriasis was triggered when her father passed away. Giorgia is now following in the footsteps of Winnie Harlow by breaking down stereotypes surrounding beauty. 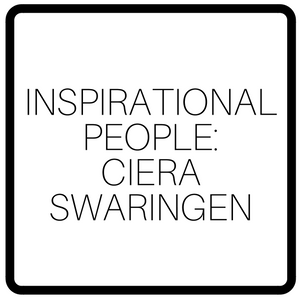 Giorgia hopes to encourage other women with her campaign and help those also suffering from Psoriasis.